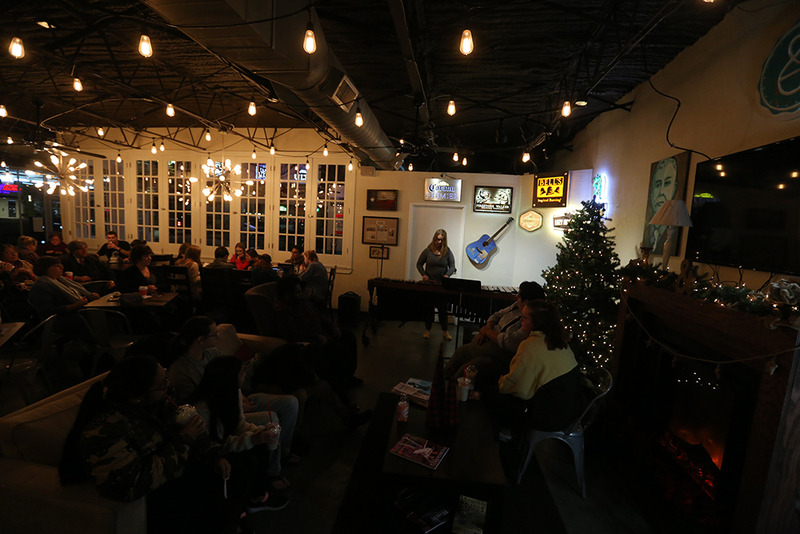 As customers of Frank and Joe’s sipped on their mochas, the music department and seven of its students played the marimba for an hour on Dec. 4. “It was fun to play for the community and get ready for our juries at the end of the semester,” said Micayla Kelsey, music education freshman. The group entertained customers of Frank and Joes and students that went to support the group. The establishment was packed with every chair being occupied. There were some customers standing along the walls and sitting on the floor. “It was a rush! I’m not going to lie, it’s different from performing in front of people on a stage. On stage we have the lights dimmed, you can’t see anyone past the first couple of rows. Here [Frank and Joe’s] you can see everyone you are playing for and it’s a little nerve-wracking,” Daycee Duncan said, computer science junior. The department played in public for the first time at the hour-long event, where students played various pieces. The head of the event, Gordon Hicken, jumped in on the fun and played a piece for the audience as well. 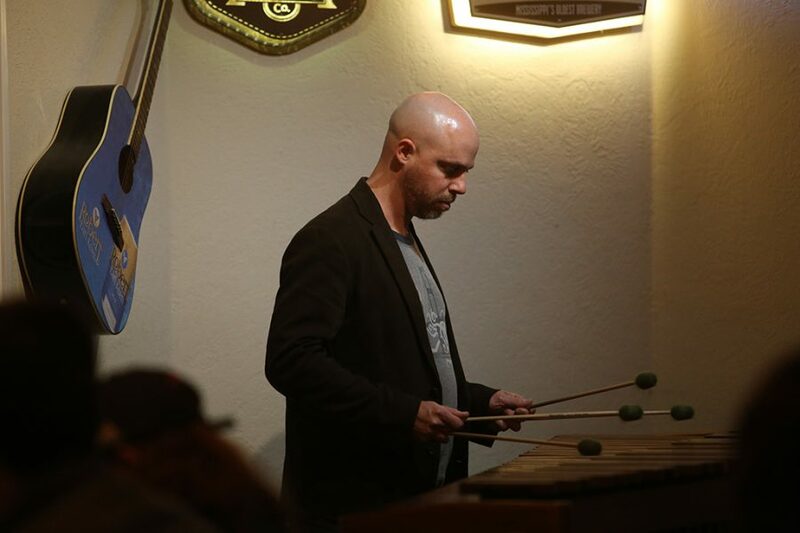 The next percussion ensemble concert will be April 15 at 7:30 p.m. at Akin Auditorium.